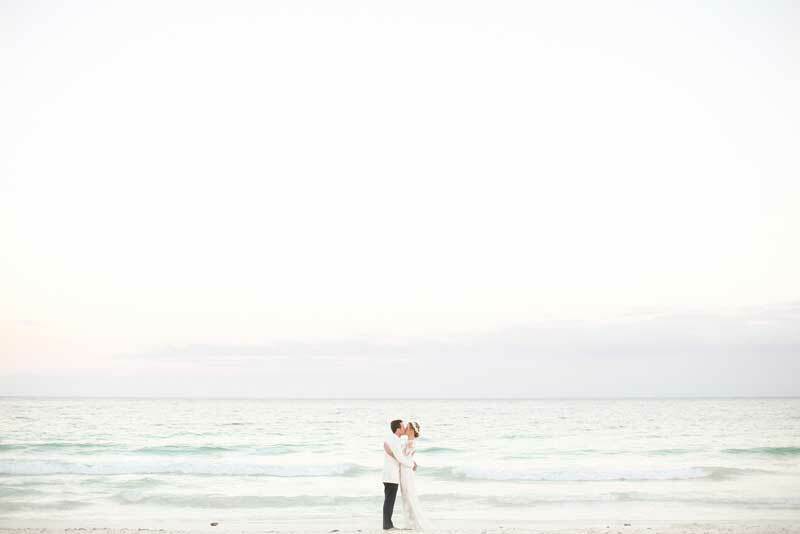 The beach is a popular destination for many weddings to take place, so it’s a good idea for photographers to be well prepared to shoot at this type of setting. It’s bound to come up sooner or later on your travels. 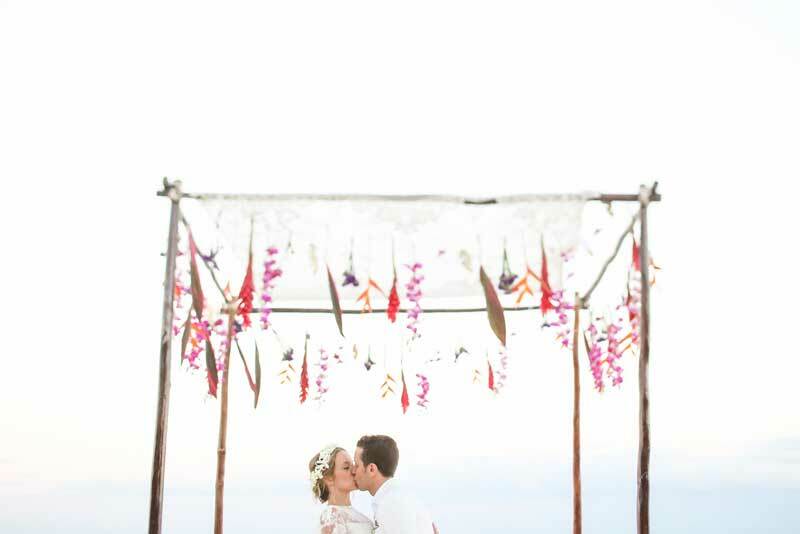 So, wedding ideas for the beach is what we’re going to be focusing on in today’s post. 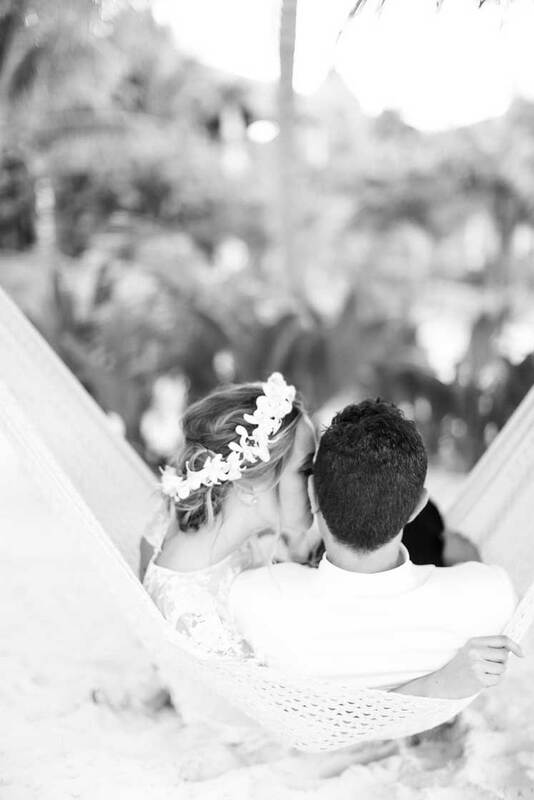 If you really want to capture the memories of a beach wedding properly, knowing which camera settings to use is the best place to start! Set the aperture to f/16. Set your shutter speed to 1/100. If you’re happy with how the images look, stick with these settings, if not feel free to play around until you feel that your camera is producing the best images that it can in that particular setting. You may have to tweak your camera settings slightly if too much light is bouncing off of the water or reflecting off of the sand on the floor. If the light is reflecting off of the sand, we suggest that you reduce the aperture to f/22. Read Your Histogram – The chances are that when you look at your images through your camera’s playback viewfinder, the images may appear a little dull, dark and dim and that’s the problem when photographing in harsh lighting. It’s tough to accurately estimate the correct exposure setting within your camera, but this is an easy thing to figure out by reading your histogram. A histogram will help you to get a balanced lighting effect throughout your images in tricky lighting conditions. 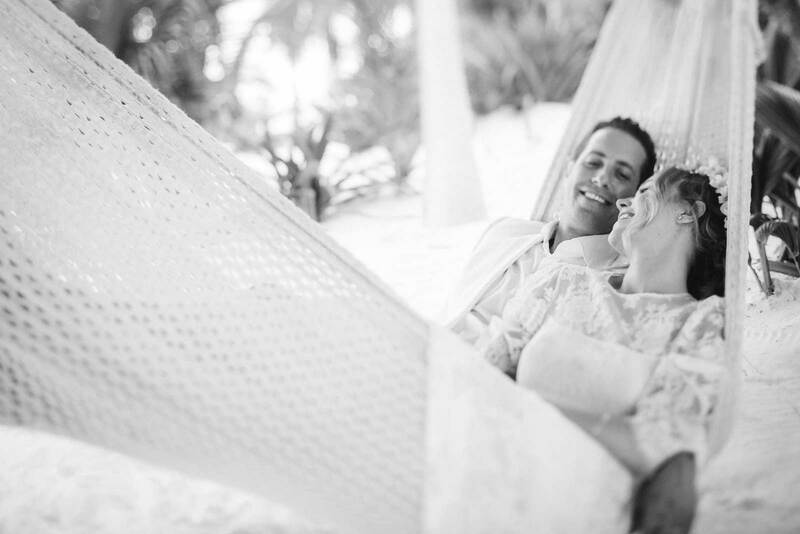 When talking about wedding ideas for the beach, this has to be one of the biggest pointers that we could give to you. Do you know how to read your camera’s histogram? Here’s a cheat code to remember what to do: ‘But if you don’t, then here’s the cheat code: When it’s bright, shift the histogram to the right’. What you want to see in your camera’s histogram is the values to be bunched up near the right side. If you’re technically inclined, the actual recommended value is 18% grey. A smart as your camera is, you shouldn’t solely rely on your camera to get this right for you. Switch your device’s mode from auto to manual or priority mode. Turn off the HDR and automatic lighting optimization tools. For manual mode: Expose for the sky, not for the couple. This means aiming your camera at the sky (but not directly at the sun) and fiddling with the aperture, shutter speed, and ISO until the exposure is right. The couple should be dark. For priority mode: Point your camera towards the sky but not directly at the sun. Get an exposure reading (usually by half-pressing the shutter button) and click the Auto Exposure Lock (AE-L) button on your camera. This will temporarily lock your aperture, shutter speed, and ISO. Focus your lens on the couple and take the shot! Beach Photo Opportunities – The beach doesn’t just provide you with these golden filled, sunny images. It’s also a really gorgeous place to capture unique images, including special traits that you could only find on those warm sands. The beach has a rhythm and a pulse to it. The waves are in a constant ebb and flow. The breeze drifts freely. It’s perpetual motion, and you need to capture that. 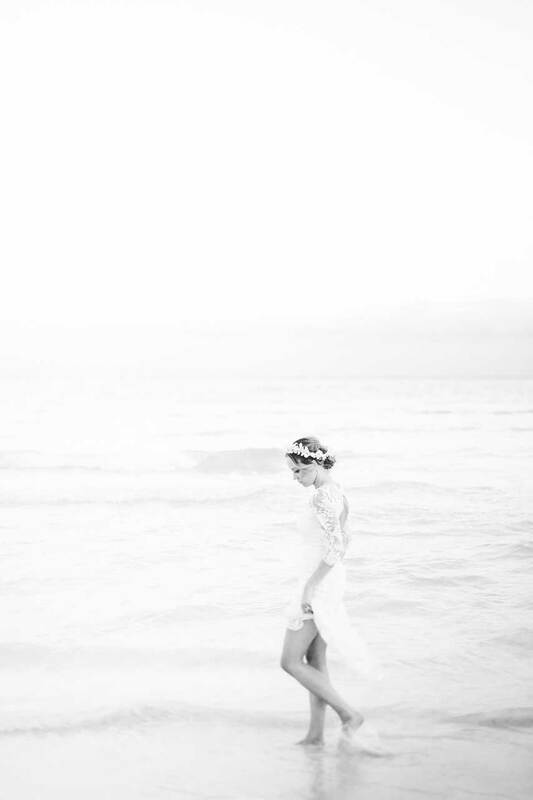 There are some obvious ways to capture the personality of the beach so to speak, for example a photograph of a Bride’s wedding gown flowing in the breeze, or the Bride and Groom’s footprints as they walk down the coast line. There are some really cute, fun and playful images to be taken at the beach, so make the most of your surroundings and guide your clients so that you can capture the best photos. Take Care Of Your Equipment – The last tip on our list is to take care of your equipment on the beach, the last thing you want at the end of a great day is to realize that something belonging to you has become damaged by your surroundings. You’ll want to earn a profit and not have to spend your earnings on replacing your equipment. Sand is the arch enemy of a camera lens. Zip lock bags are your friends when it comes to protecting your batteries, lenses, camera and everything else that’s valuable in your possession. When you’re not using your camera, it should go straight into a zip lock bag and then into your camera bag. Also, you should change your lenses on the beach as little as possible to avoid damaging your lenses on the beach. Our last tip is to never ever put your camera directly on the sand. Not only is sand a nightmare to get off of anything, but you might damage your camera or lens in the cleaning process. Instead, use a tripod to prevent any misfortunes at the beach and that’s it!